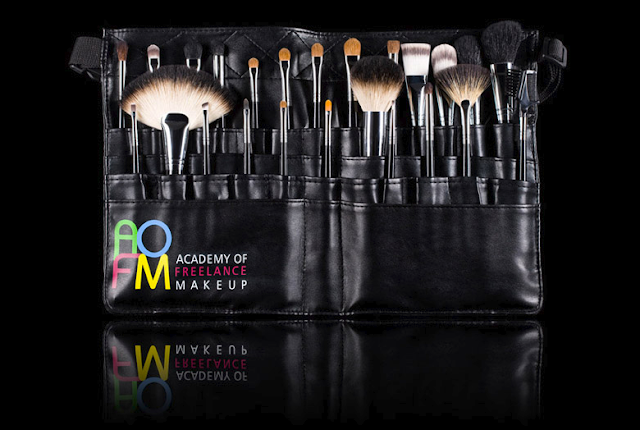 AOFM Bridal Make Up Course GIVEAWAY! I soooo super-duper excited to tell you that AOFM, The Academy of Freelance Makeup - where I trained at in 2011, are offering TWO extremely lucky Super Gorgeous readers a spot on their Bridal Make Up Course this March. The course runs over 5 days where you will learn everything from basic bridal make up application to advanced techniques, as well as bridal hair. It's a great idea for anyone into make up looking for some training, already working as a make up artist but would like a bit of guidance with bridal work, if you'd like to work as a bridal make up artist, or if your sister has roped you in to do the make up at her wedding later in the year! You can find out full details of the course here. 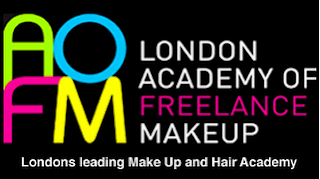 AOFM's way of teaching is something I really enjoyed - every day is taught by a different industry-leading make up artist or hair stylist, so you can pick up different tips and techniques and grill them on how they got to where they are today. As well as the make up course (which costs £950), they will also be giving each winner an AOFM brush set which has a £250 value - whoever the lucky winners are are going to be extremely happy boys or girls! All you have to do to enter is put your details in the Rafflecopter widget at the bottom of the post, where you will find a number of different ways to gain extra entries. The giveaway is open internationally but please note that the course takes place daily at the AOFM studio in Soho, London - the prize does not include travel or accommodation. You will have to attend every day from 11th-15th March 2013. As a past student myself I know that AOFM do not tollerate lateness as it disrupts the rest of the class. If you are repeatedly late or miss a day you will not be invited back - so PLEASE only enter if you are passionate about make up and this is something you really want - this is an amazing opportunity for two very fortunate people so please don't waste it. The giveaway ends on Wednesday 6th February when a winner will be selected at random. Both winners will be contacted via email and announced on Twitter and the Rafflecopter widget. I should/would love to win because I love make up and I need practice at applying make-up and I'm also interested in how to do bridal hair! Just to add, if I'm good at it, I would like to help with my brother's girlfriend's make-up when they get married. This is exciting! I would love to win as my passion is for make-up and I am currently at college but want to go somewhere else cause I don't feel that the tutors ate inspiring enough and I feel I need to be pushed to my limits this would be a great oppuity to have as I will be working with top people who know what they are talking about and I can actually learn something. This would be amazing! I'm already looking into the courses at AOFM after reading your blog post on them and would be amazing to get on one soon!! This giveaway is amazing, thank you so much! My sister has asked me to do her makeup for her wedding in April and I'm feeling a bit nervous at the moment. Fingers crossed I'll win :D it would be an amazing opportunity. I should win because it woul be a good opportunity to learn to make up better than I do now from professionals.Thank you very much for having the pacience to read my comment!! Oh P.S. I'm 100% free that week coz most of my freelance work is on weekends! I would love to win this as it's the week after my birthday so it would be an amazing present! I would love to be better at make up and know this course would be SO helpful for me. Fingers crossed! I should win because I am your AOFM fellow, we had same amazing experience there. :) But there was only one day of bridal hair& make-up included in my previous course which wasn't detailed enough, I d like to win to expend my knowledge and build up more confidence, I wish to make more ladies glow on their big day! Tiny baby Jesus! 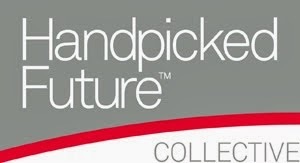 I want to win this opportunity to attend the class sooo badly!!! I have though about doing a make-up course at AOFM and this would be an amazing opportunity to win this Bridal Make-up course! Gosh!!! I actually need to win this . . . if I bribe you with chocolates will that improve my chances?